Recycling is a chore with which most Canadians are familiar, but that familiarity doesn’t mean it’s an effortless task — especially for local recycling services. Now, researchers at the Université de Moncton have partnered with Thermopak, a regional packaging company, on a creative solution to keep the containers out of landfills. 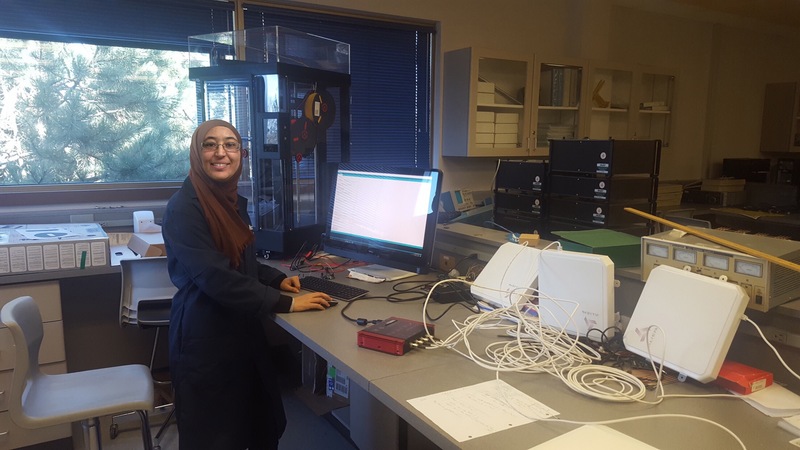 Rahma Zayoud, an electrical engineering PhD student, is incorporating radio-frequency identification (RFID) technology. The term may sound familiar because it’s used in commercial and consumer applications, such as passports and licenses, shipping and logistics, and the identification of farm animals and pets. 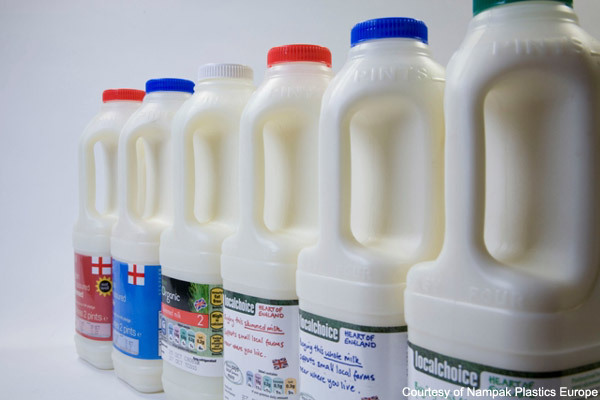 By attaching an RFID tag to a milk carton, Rahma will make it easier for recycling services to detect the presence of milk cartons, better adjust their routes and scheduling, and ensure that the cartons make it to the appropriate recycling destination. For those RFID-equipped cartons that accidentally end up in a landfill anyway, retrieval is similarly efficient. But the process isn’t as simple as attaching an RFID sensor to the cartons: Rahma needed to determine the best type of RFID technology to use, and how to get the data from the RFIDs to communicate with recycling facilities and employees on the road. Rahma’s supervisor, Dr. Habib Hamam, explained that common wifi signals cannot be used for specialized applications like this: “We are using a wireless language called ZigBee that is suitable for smaller applications like this one. It transmits a small amount of data and doesn’t interfere with any other nearby networks.” Going forward, the team will be building and testing a wireless network between the containers, the recycling facility, and its fleet of vehicles. Mitacs thanks the Government of Canada and the Government of New Brunswick for their support of the Accelerate research internship in this story. Across Canada, the Accelerate program also receives support from Alberta Innovates, the Government of British Columbia, the Government of Newfoundland and Labrador, the Government of Nova Scotia, the Government of Ontario, the Government of Prince Edward Island, the Government of Quebec, the Governemnt of Saskatchewan and Research Manitoba.